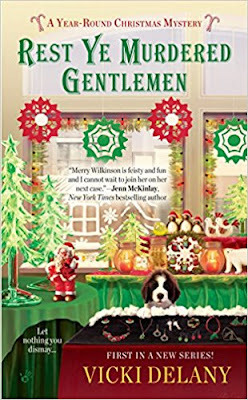 As the owner of Mrs. Claus's Treasures, Merry Wilkinson knows howto decorate homes for the holidays. That's why she thinks her float in the semi-annual Santa Claus parade is a shoo-in for best in show. But when the tractor pulling Merry's float is sabotaged, she has to face facts: there's a Scrooge in Christmas Town. Merry Wilkinson owns a Christmas-themed gift shop and lives in Rudolph, New York, also known as Christmas Town. It's getting close to Christmas itself, and she's got her float ready for the Christmas parade. She's also convinced she's going to win this year...at least until mechanical difficulties disqualify her from the parade - it seems by the time she finally was able to get her float up and running, it was after Santa Claus's float, and that's a big no-no here; so, disqualification. Her best friend Vicky, who owns a bakery, won - which isn't a surprise, since she usually wins anyway. Also there this year is a reporter, Nigel Pearce, who works for World Journey magazine is there to do a story on their little town. While he's in Merry's shop, it seemed he's more interested in her employee Jackie than he is in the shop itself - although he hides it with a series of shots of Jackie around the merchandise. Later that evening there's a party in which Vicky bakes a special set of gingerbread men for Mr. Pearce. And later on after that, Merry is walking her puppy in the park and finds his body. When it's discovered that he's been poisoned, and the culprit seems to be a gingerbread cookie, the natural suspect is Vicky. But Merry is convinced her friend isn't guilty, and knows there has to be a better explanation, and another guilty party. But can she - and the police - figure it out before Vicky's finally cooked herself and behind bars? A series centered around Christmas? What could be better? Well, this book apparently. I should have known in the beginning when her float was disqualified for coming after Santa. Really? It was minor at best, and I doubt if the visitors to their town would have been horrified by that fact. Yes, traditionally Santa is last, but honestly, disqualified? Merry is also a bit of a hypocrite. She mentions how she and her family believe that gifts are for children only, yet she sells gifts for adults to give to other adults. Uh-huh. Shouldn't she only be carrying toys, if that's her belief? (For the record, gift giving to others doesn't stop at eighteen. It's a way to show you care about another human, regardless the age). Practice what you preach and all that. Not to mention she acts like she's a teenager herself - fending off two would-be suitors without really saying so. How old is she, anyway? I certainly hope this series isn't going to turn into a love triangle. As I've said before, I absolutely abhor them. Put it this way: If it were a man who was seeing two women, you'd probably think he was a dirtbag of sorts. Yet for some odd reason, it seems to be perfectly fine when a woman strings along two men. Strange. She also never says why she does or doesn't want to date anyone. I never got the feeling there was any attraction to either one of them (maybe on their part, but definitely not on hers). No connection of any kind. And at the end, I felt that the reason the murderer did everything was rather convoluted. It didn't really make any sense to me, since it wasn't really connected in any way; and Merry didn't really do any investigating. (See Goodreads for hidden spoiler). As it were, I felt the book wasn't about a murder, it was about trying to figure out who was sabotaging everything. ; and it all just rather fell into her lap. I usually try to give a pass on the first in a new series, and in this instance I am hoping that it will improve. Maddie Kosloski is no fan of San Benedetto's Christmas Cow, a thirty-foot straw bovine that graces the town square every December. 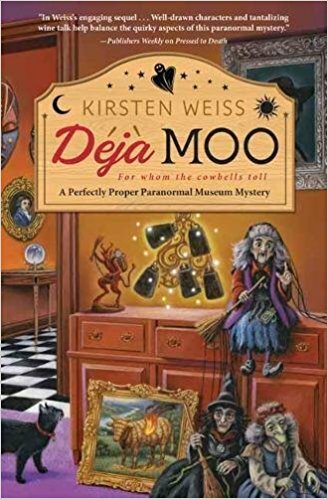 For one thing, the cow displaces her paranormal museum as the number one tourist attraction. Plus, every year, despite around-the-clock surveillance, the cow goes up in flames. But this year, there's more than just a fire blazing in Maddie's wine-country hometown. One of the Christmas Cow guards has been found with an arrow in his chest, and Maddie's new haunted cowbell exhibit is fueling a panic. Are the spirits in her museum getting too hot to handle? If Maddie can't stop the hysteria - and the murderous archer - her holiday plans might not be the only thing full of holes. Maddie Koslowski owns a paranormal museum in San Benedetto, California. Right now, the town is gearing up for Christmas and the annual tradition of the Christmas Cow - a 30 foot straw cow that seems to be the victim of an accident every year (almost). This night, Maddie's mother Fran is taking guard duty with the cow; and Maddie is supposed to relieve her soon. However, she's stalled on a road and ready to call for a tow when the handsome Detective Slade happens by...at the same time Maddie receives a frantic call from her mother - who's never frazzled. Then there's the issue of the haunted cow bells in Maddie's museum. People are blaming the death on those items, and even insist they're hearing them ring - which doesn't bode well, since the rumor is that hearing the bells portends death. It seems Maddie only has to see a dead body and she's somehow involved in the investigation, and this book is no different. Of course, since her mother's determined on her quest, she really has no choice; but it makes for a very good mystery indeed. I truly enjoyed this book, however I felt the fact that her relationship with Mason too conveniently ended just so she could begin another one right away with Detective Slate. It just felt like both were rushed, especially since she believed she still had feelings for Mason (as she mentioned several times throughout the book). Hence my stating "too conveniently". Therefore, I felt that her entering into another relationship would have taken longer; but I didn't allow this to dampen my enjoyment of the book at all. 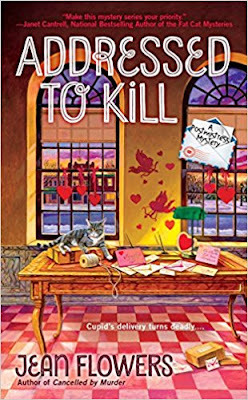 Although this isn't a particularly humorous book by any means, it is indeed good old-fashioned mystery, and one that the reader will truly enjoy. The characters are likable (with the exception of Detective Hammer - but I am sure others will agree she is not meant to be - and interesting in that the Ladies' Aid stick together through thick and thin, and help each other any way they can. I especially like the character of Leo, even though he's not a main one, as he's young but managed to find his place in the world and cares for those around him. 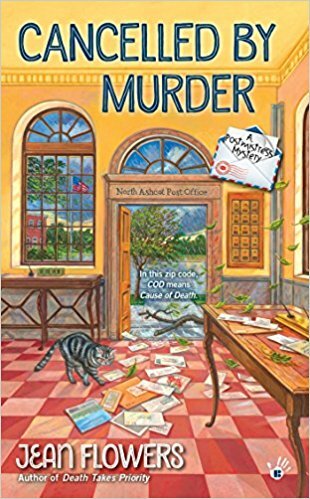 In the end, when we discover the murderer and all is well (as we know it must be) we have a well-written mystery with plenty of twists and turns and quite engaging enough to keep one reading through the night. Recommended. Sophie "Phee" Kemball is not a cop. She's a divorced, middle-aged mom who works as an account clerk for the police department in a small city in Minnesota. But her retired mother, Harriet Plunkett, is convinced Phee is the only one who can solve the mystery of a cursed book. According to Harriet, four members of her book club have already succumbed to the deadly curse. Harriet insists Phee catch the next plane to her retirement community in Sun City West, Arizona, to investigate. Sophie 'Phee' Kimball works in the Mankato, Minnesota police department in accounting. One day she receives a call from her mother Harriet, who lives in a retirement community in Sun City, Arizona. It seems her mother's book club, Booked 4 Murder, has been reading a book that is 'cursed' according to Harriet. 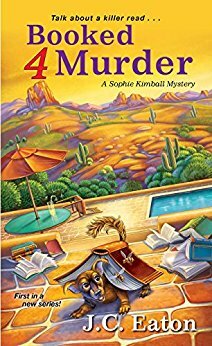 She wants Phee to come to Arizona and investigate the situation and find out the truth before there are any more deaths. Phee thinks it's ridiculous, but with a little coaxing from a police detective friend, she decides to make the trip. Once she arrives, she tries to convince her mother of everything only being coincidences - these were elderly women, after all; but when Harriet insists it was murder, Phee reluctantly begins an investigation into the deaths. Not knowing how to go about it, she manages a mish mash way of asking questions, and trying to discover the truth. Even though it takes awhile, Phee begins to put together the pieces and discovers how easy it is for coincidences to become reality. I really wanted to like this book more. The plot was interesting: a cursed book that makes people drop dead from merely reading it. On top of that, it's a self-published book that no one seems to have ever heard of, and it appeared on the club's book list without anyone having requested it. Yes, it had a nice premise, but unfortunately, it couldn't be carried through. I just couldn't connect with any of the characters. Phee seemed pretty dull to me, almost like she had given up on life when she got divorced. She is only 45, but acts like she's older than her mother. She has no social life, no boyfriend, no pets (otherwise how could she leave so easily?). It appears she goes to work, comes home, and repeats it every day - what a life. We're not even sure what she looks like except that she has a nice figure. And she talks to herself - a lot. In fact, some of those conversations were extremely boring. I also didn't feel that it was much of a mystery. Usually the protagonist doesn't breeze through the investigation the way Phee did. There was no sense that she might be in danger at any time; it seemed like she was in a retirement community with a bunch of elderly people who had nothing better to do but gossip about their neighbors. When the ending came and all the pieces were put together, I felt that it was a bit of a letdown. There weren't really any consequences for anything - some people were even basically rewarded for their part in it all! That just did not feel realistic to me. In any event, since this is the first in a series, I imagine that it will need tweaking and become better with the second one, so I will read the next. Love is in the air for postmaster Cassie Miller and the residents of North Ashcot, Massachusetts. Valentine's Day is right around the corner, and the town is gearing up for a special dinner dance at the senior center. Since the local musical group performing at the dance has been displaced from their regular practice location, Cassie is all too happy to host them during off-hours at the post office. But not everything is coming up roses. When one of the musicians, Dennis Somerville, is found shot in his home, rumors swirl over who might have wanted him dead. Cassie must determine if there is a link between a string of recent break-ins and Dennis's murder before another victim winds up with more than a broken heart. As the third book in the Postmistress series, I really wanted to like it better than the first two. But there are so many things wrong with this book, beginning with buildings changing locations and growing larger. That's right - growing larger. In the last book, the drawings showed the post office, then buildings 1201 Main and 1203 Main on the corner facing the bank. In this book, it's 1203 Main, 1201 Main, and a much larger post office (now transposed to the corner and facing the bank) - attached to a community center that didn't exist before. Maybe others don't pay attention to details, but I do. And these details most certainly weren't in the previous book. You can't just change locations of buildings and make them larger on a whim. Not to mention I've never heard of a post office having a community center. That's just odd. Secondly, supposedly there are three thousand people in the town of North Ashcot, but only one postal employee. They don't deliver mail, and we're supposed to believe that everyone goes to the post office to get it. Even if half are children, that's a lot of post boxes they'd need. This post office must be the biggest in the country to accommodate that many. Plus, can you imagine the lines of people picking up/mailing packages at Christmas? In fact, she wouldn't have time to investigate murders. She'd spend all her time sorting mail and putting it in the boxes. I check my mail every day, as do most people. I thought this was a town of about 100 people up until now. Now I understand some towns don't do home delivery - but with this many people you'd have to have more than one person and keep the post office open a lot longer to accommodate those that work during the day, not to mention disabled people would need their mail delivered. Also, when does she sort the mail? Is it done by elves in the middle of the night? Because Cassie never mentions sorting, yet with all these people, that would take a lot of time. So, a town this size, with everyone coming into the post office every day to get their mail would take up an awful lot of time - and again, need more than ONE employee to do so. 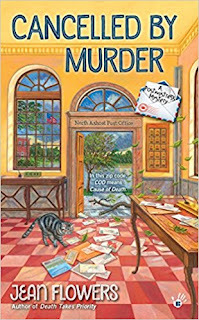 When a professor is murdered Cassie blames herself because he wanted her to investigate threatening letters (which he should have taken to the police department if he thought his life was threatened) so nosy Cassie needs to investigate - again. While Cassie's in the perfect job for her, since she thinks post offices are fascinating, they're not. I really tried to like it, but sorry, I am so done with this series. First meet Robyn Lane. She's always dated struggling creative types, including her current squeeze (Perry, an actor). For this year's Chrismukkah celebration, her parents would love her to bring someone stable, reliable, steadily employed. You know, with health insurance and a 401(k). Now let's meet Sidney Bellows. Her parents already plan her professional life (she's an attorney at her father's law firm). If she brings her current boyfriend (Will, an attorney) to the family Christmas extravaganza, her parents will have their wedding planned by New Year's Eve. Leave it to a mutual friend (and copious amounts of wine) to find a playful solution: Swap those boyfriends, fool the parents, and enjoy the holidays. It's perfect! Robyn can show off a successful attorney boyfriend, and Sidney's high-society family won't ring those wedding bells when they meet a flaky actor beau. The fun isn't in the theory, it's in the practice. Will turns out to be the boy-next-door Robyn crushed on hard throughout her teenage years. Sidney's family fawns all over Perry like he's an Oscar-winner rather than a D-list wannabe. Fool the parents? Enjoy the holidays? 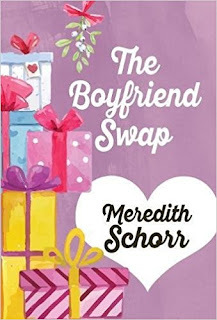 Swapping boyfriends never sounded so good or went so bad. Robyn Lane is a music teacher who, along with her roommate, Anne Marie, is having a girls' night out wine party. Asked to attend is Anne Marie's boss, Sidney Bellows, a driven attorney who needs to get away from her office and an annoying co-worker for awhile. Both women are dreading the coming Christmas festivities with their families. Robyn's parents hate anyone she's interested in - laid back, artistic types; and Sidney's father, also an attorney and head of the firm she works for, lives, eats and breathes law. Her current boyfriend is also an attorney, but Sidney doesn't want to subject him to her father, because she knows it will be all work and no fun. After imbibing a few too many, Sidney comes up with a foolproof plan: What if, just for a few days, they swap boyfriends to fool their parents? Robyn can bring Sidney's boyfriend Will, and Sidney can bring Perry, Robyn's actor boyfriend - it's perfect. While Robyn balks at first, Sidney is used to getting her way - after all, she's been formally trained just for that. When Robyn agrees to the exchange, the next step is to have everyone meet each other and propose the plan to Will and Perry. Robyn's surprised when she recognizes Will as someone she grew up with and had a crush on in high school; and Sidney, seeing Perry, thinks he's the most gorgeous man she's ever seen. While Perry is willing (thinking he can hone his acting skills), Will is harder to convince, until he "overhears" a staged conversation Sidney is supposedly having with her father. With everything in place, it all seems like it's going swimmingly. Robyn's parents are glad to have Will back into the fold, and unfortunately for Robyn, mention her girlhood crush...which she still has, unbeknownst to Will. Sidney, on the other hand, is stunned when she realizes that her parents absolutely love Perry. Her firm's specialty is entertainment law, and her father offers to help him; her mother thinks he's charming. Sidney, however, isn't pleased by the fact that Perry isn't 'sticking to the script' and unhappily begins to realize this is one situation she's losing control of, which angers her. On the one hand, I thought this book was pretty cute. It's a nice semi-sweet tale of what we think we want and discover it's not what we really want at all. Although I felt that Sidney's transformation was much greater than Robyn's - Sidney's had a lot to do with wanting a piece of her own life to remain just that, while Robyn's appeared to be that she had been stuck in an eternal one-sided relationship for years; I did think that having truthful conversations with their respective sets of parents might have been in order for some time coming. However, I also felt it was perfect for a quick Christmas feel-good read; and quite a nice story. Recommended if you need something to cozy up to on a cold winter evening. With a massive storm about to hit North Ashcot, Massachusetts, floods and widespread wind damage, Cassie is forced to close up the post office, while the rest of the local business owners and residents batten down the hatches and brace themselves for the worst. Although the storm proves to be not as bad as predicted, fabric shop owner Daisy Harmon is found dead, seemingly killed by a fallen branch. But the police quickly determine that her death has nothing to do with foul weather and everything to do with foul play. After Daisy's widowed husband approaches Cassie to help solve his wife's murder, she vows to find the killer before another innocent victim is taken by storm. It's the end of summer in North Ashcot, Massachusetts, and Cassie Miller has been postmistress for a year now, with a new boyfriend, Quinn, and a best friend in the local police chief. She's even become a member of the local quilting group. At any rate, the story just didn't grab me enough to seem like much of a mystery. Yes, we have a murdered woman; but when it came right down to it, the reason she was killed didn't seem like any reason to kill her at all; and I didn't think the way Cassie escaped from the killer was believable enough; but I guess any port in a storm - just my own opinion. Cassie also overthinks everything (we hear a lot of her thoughts) and seems to be bad at questioning people (they always know). She just doesn't have any skill in doing this; it makes her seem nosy and inept. 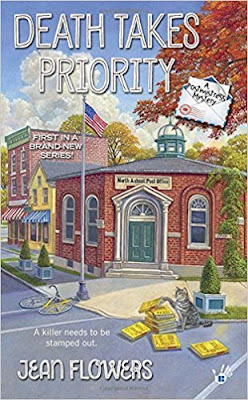 The bottom line is this: while the protagonist being a postmistress is mildly interesting, her constant telling us about everyone's mail, stamps, and the reasons people are on stamps seemed like fillers and unnecessary (nor interesting) to the story. I also couldn't understand why she was still friends with Linda, who mocked small-town life every chance she got. Who'd want a friend who made fun of your life choices? I was also beginning to wonder if Quinn was on the up-and-up with her since he was on one really long business trip; but came to the conclusion that by being away, there was no reason to create any romantic involvement between him and Cassie. At the last, you can't re-home Genets. Once the Raleys had possession of them, there is where they would stay if they didn't want to harm them in any way. So unfortunately, even though I have the third book in this series, right now it's a toss up as to whether I'll continue reading it. I had high hopes, but I don't know how much more I can take reading about who's getting what mail from someone, or how busy her post office is on a daily basis. The residents of Cottonwood, Kentucky are sent into a tizzy when the Culinary Channel comes to town to film an episode of Southern Home Cookin' with celebrity chef Frank Von Lee. Her mama's award-winning chicken pot pie is what brought Frank to town, and they don't make hair in the South bigger than her mama's ego after the news. When Frank Von Lee is found dead from food poisoning and the most likely culprit is Mama's chicken pot pie, Kenni's poppa, the former sheriff, comes back from the Great Beyond to assist in the investigation. But nothing's prepared Kenni for such a personal tie to a case, and she finds herself pushing the limits of the laws she's sworn to protect. Kenni Lowry is the sheriff of small-town Cottonwood, Kentucky. She's happy in her job, taking over from her Grandfather 'Poppa', who's now a ghost and shows up to help when something bad is about to happen in their tight-knit community. Her mama Vivian is over the moon because having won a contest for her chicken pot pie, it's now bringing to town Chef Frank Von Lee, who has a show on television and Vivian is one of two contestants to be interviewed, with the chef picking the best dish. As if that's not enough, people are being seen all over town with pink handicapped stickers for their cars which are obviously illegal; someone is running an illegal Botox ring, and she's also navigating her new romantic relationship with her deputy Finn Vincent, and hasn't decided on a way to tell him about her Poppa; which, while they're still figuring it out, will have take second place to the fact that shortly after Frank arrived - he died. Kenni received a call from the inn where he was staying, and it appears at first that he died from a heart attack. But while in his room, she notices what's left of a pot pie and a memo he left behind stating it was from Vivian, and that from all appearances, it was store-bought. While Kenni doesn't believe it for a minute, her mother has been acting strangely - including getting Botox injections, and now has a black eye she won't talk about. 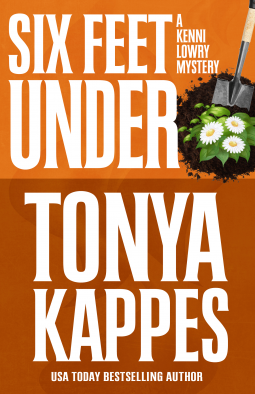 As always, Ms. Kappes has turned out a top-notch mystery about another murder in this little Southern town. The usual residents make an appearance, of course, with the focus shifting on her mother this time around. While, for the most part, the townspeople don't think Viv killed a man, there's still the circumstantial evidence - even if it doesn't make sense to Kenni and Finn. Still, they need to strike quickly before a killer gets away. There's so much going on that it's hard to decide what the best part of the book is. I can honestly say that I enjoyed this one as much as the others, and that's quite a bit. The author pulls us into Cottonwood's quirky characters' lives, making you either want to visit there or decide to keep your sanity and just stay away altogether! When the ending comes and the killer is discovered, I have to say that it was done nicely. The clues were all there, but it was interwoven in a delightful manner so that unless you were actually looking for them, you may miss them entirely. I look forward to the next in the series. Highly recommended. After caring for her dying aunt and being dumped by her fiancé, Cassie Miller decides to return to her small hometown in the Berkshires to lick her wounds and live in the house where she was raised. Leaving behind her managerial position in the Boston main post office, Cassie trades in her tailored suits and high heels for the comfortable blue shirt and red-white-and-blue striped scarf of the postmaster for North Ashcot, Massachusetts. Cassie Miller used to work for the postal service in Boston, but when her aunt got sick and her boyfriend dumped her, she ran home to North Ashcot, Massachusetts. She took over the office of Postmaster and has been home for three months, trying to find her way again with people she's known and some she hasn't. When she accepts a lunch date from a local antiques dealer, Scott James, she doesn't know that it's going to end abruptly, with Scott taken in for questioning - it seems someone from Cassie's past has been found murdered, and he had two names in his possession - Scott's and Quinn Martindale's. It also comes as a surprise that Scott and Quinn turn out to be the same person. I liked this book up to a point. I liked the fact that our protagonist is a postmaster, but I really didn't care to hear about all her duties; it was beginning to get old. We all know that postal employees have to sort mail, deliver it, fill the various bins, etc. I'm pretty sure no one believes it's done by elves in the middle of the night. Anyhow...I found it distracting as much as I would have if I'd been reading about a florist who continually told us how she orders flowers, cuts them, arranges them, etc. The plot itself was decent enough, but never really seemed to come together for me. There just didn't seem to be any real reason why the person who was actually "organizing everything" would think Cassie could be a serious threat. She knew very little, and honestly didn't know how to ask questions without people catching on. It just seemed off to me. While I understand this is the first in a new series, I also understand that it takes time to hone the same, so I hope that the next book brings a little more polish, and I plan to give this author another chance to do so.